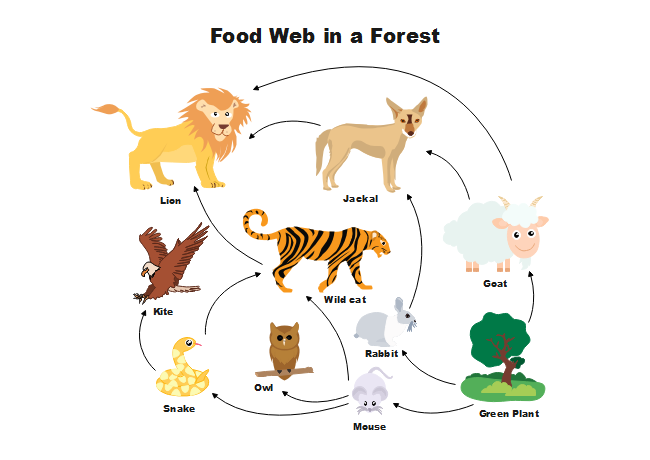 Description: Check this fully designed food web science diagram template to show your kids the fierce competition between wild animals. Replace or move around any of the pre-made animal symbol based on your preference. Get started with a free trial right now.